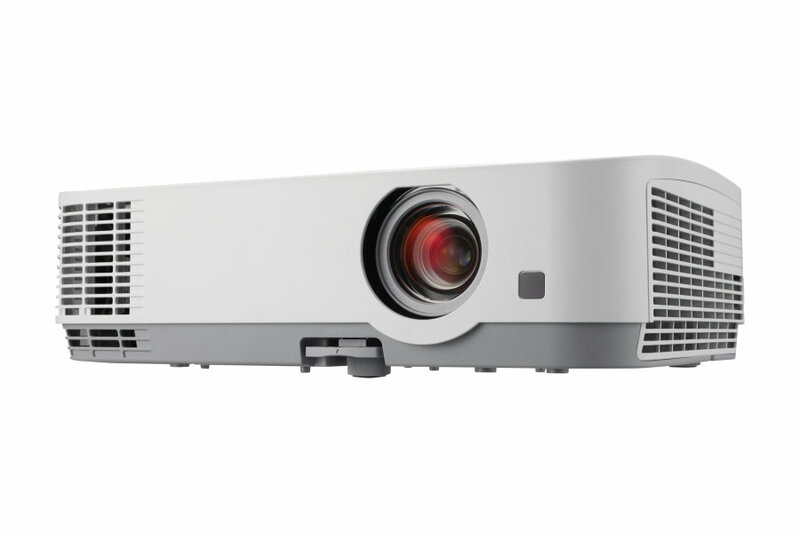 Guaranteeing the perfect support for successful lectures and presentations, the compact multi-purpose ME361X projector delivers crisp images and natural colours to your classroom and meeting facility thanks to LCD technology and 3600 ANSI lumen brightness. 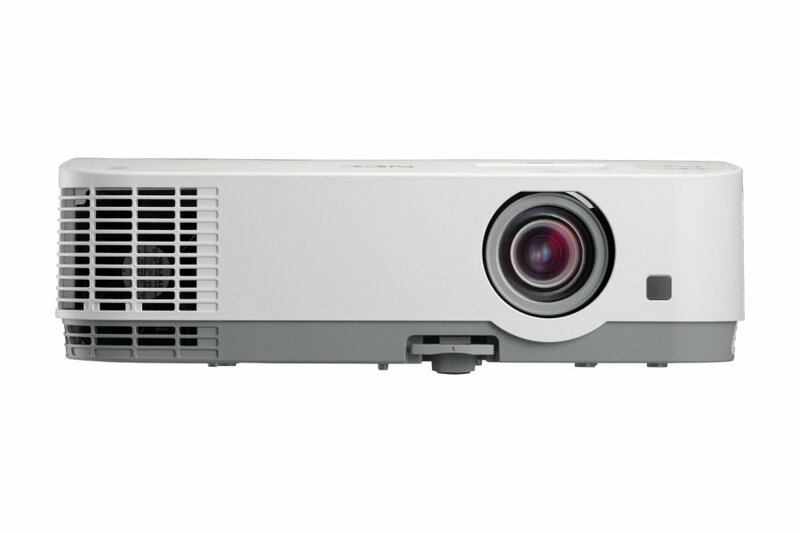 The ME361X is the perfect choice when considering replacing XGA LCD projectors. With the same footprint, lens position and throw angle it has never been easier to bring the latest technology to your classroom or meeting facility saving both time and money with no maintenance. With its downward compatibility for lamps of the M LCD series, even your stock is a safe investment! 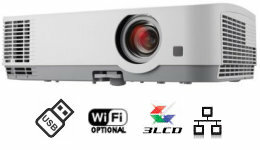 6 seconds after turning on the power, the NEC Me361x projector is ready to display PC or video images. 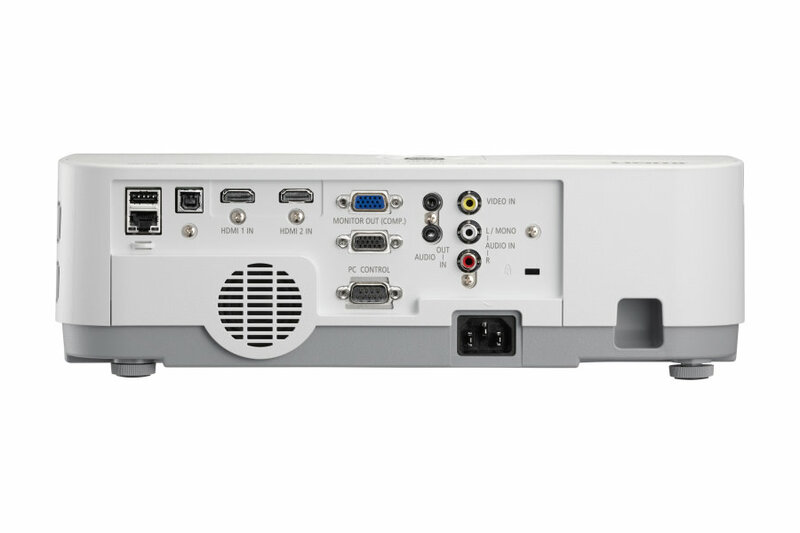 This feature allows the ME361x projector to be turned off (even when projecting an image) by using the Main Power Switch or disconnecting the AC power supply. To turn off the AC power supply when the projector is powered on, use a power strip equipped with a switch and a breaker. Using in Eco Mode (ECO) allows you to prolong the Me361x projector’s lamp life up to 9000 hours (up to 4000 hours in ECO MODE OFF). 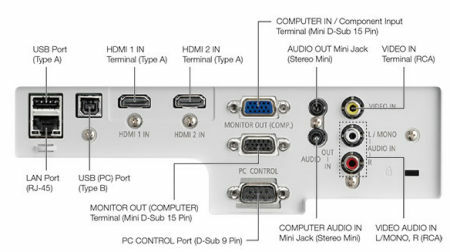 It enables easily to connect your NEC projector to computers or smartphones, on which the application software, Mul- tiPresenter, has been installed, by inputting PIN code. Lamps can blow, if you need your projector working and can't afford down time, you may need to keep a spare lamp. The replacement projector lamp for the NEC ME361x is the NP43LP.